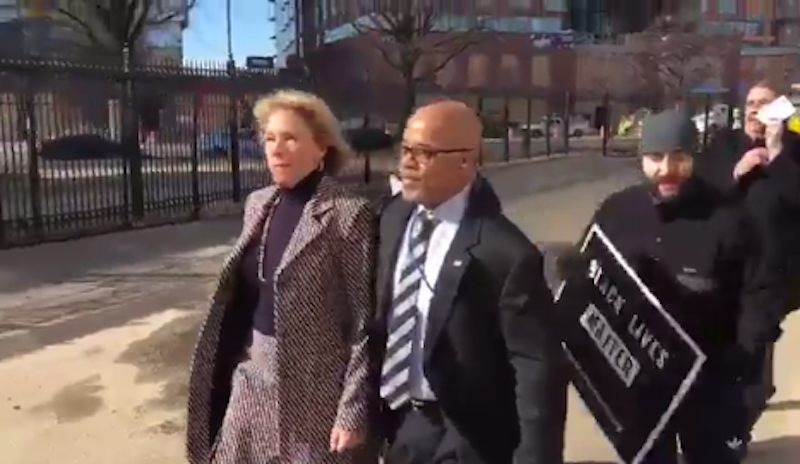 Woefully unqualified but nonetheless Secretary of Education Betsy DeVos was forcibly turned away by protesters Friday when she attempted to enter a DC middle school, though the school’s relief was short-lived—according to reports, she eventually made it inside through a different door. The video of angry demonstrators chanting shame at her, however, will live forever. Though it sounds like a metaphor for her confirmation, which was hotly contested, it’s true: DeVos ultimately entered the school through a different door, and the reception inside wasn’t much warmer. Sources tell the Washington Post teachers wore black to protest her visit.